When was running reduced to merely an exercise and when did we abandon the discovery and connection to the world it provides us? If your run has hit a plateau, try pointing your soles towards a goal not measured by modern, wrist-worn metrics, and run for exploration and discovery. 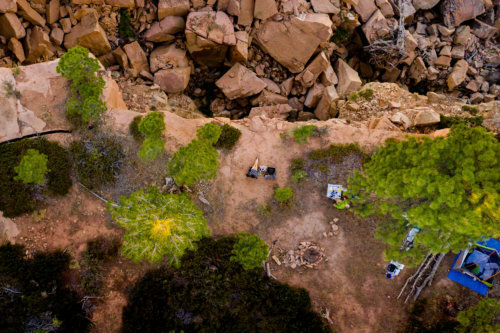 For the past 24 months, Bears Ears has been a virtual battleground for several entrenched political and philosophical perspectives in the United States. But we realized a painful irony: nearly everyone has an opinion but hardly anyone has actually been here. We decided we needed to see Bears Ears for ourselves. We equipped our Jeep for the journey and set out at 3:45AM from Salt Lake City to rendezvous with explorers in another Jeep near Moab, UT. An adventurous couple and our frequent exploration companions, Greg is a retired geologist and Fran is a retired veterinarian, specializing in reptiles and large animals. They’ve spent the past 30 years getting lost in this region and its history. We never know what to expect with these two, and we bring a few different pairs of Xero shoes to be prepared to participate in their adventures. 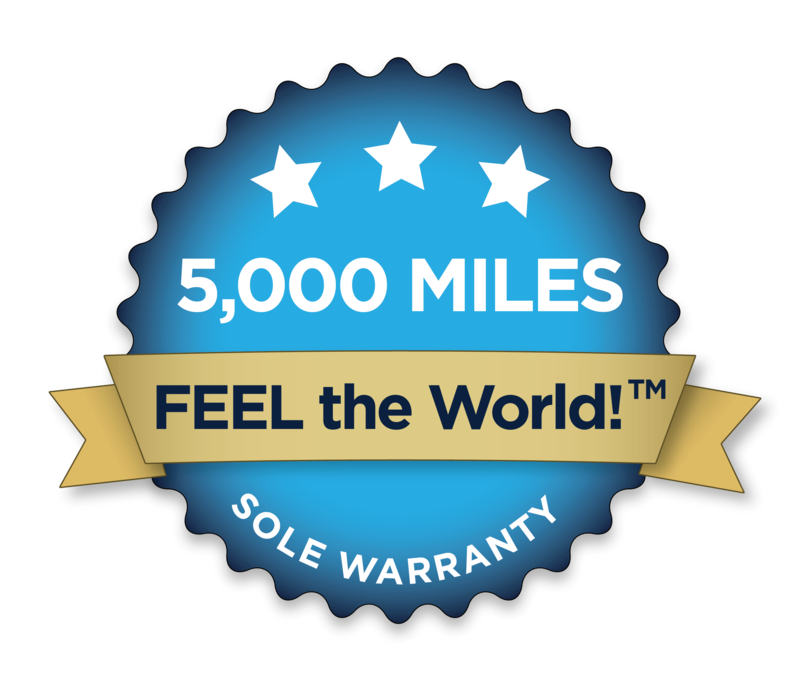 Freezing-cold mornings at 8,000-ft elevation demand the full-coverage of the Terraflex shoe or Daylite hiker. 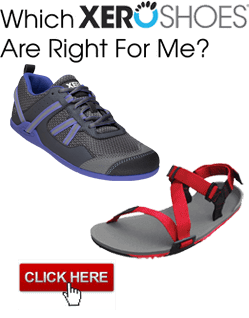 The coverage is also perfect for hiking overgrown trails, keeping your foot protected while still feeling every shape of the sandstone or sand beneath your feet. But you’ll also be longing for a sandal, so definitely pack your favorite pair. Located one hour south of Moab, UT, Bears Ears stands in quiet contrast to that crowded town and the surrounding national parks, Canyonlands and Arches. Relatively few people visit Bears Ears. The monument is named after two short buttes which rise above the plateau, held sacred by generations of Native Americans. As you drive south of Moab and first see the ears in the distance, the namesake formation is uninspiring and barely distinguishable—an irony that’s not lost on us when we see it for the first time. Give your mind and feet permission to explore. There are over 100,000 archaeological sites protected within the area, with evidence of indigenous cultures dating back more than 13,000 years. Cliff dwellings are common and can be found with a guide book, compass, determination and plenty of drinking water. There are hundreds of miles of trails and undeveloped roads, meandering through this expanse of the Colorado Plateau, including one that passes between the two ears. 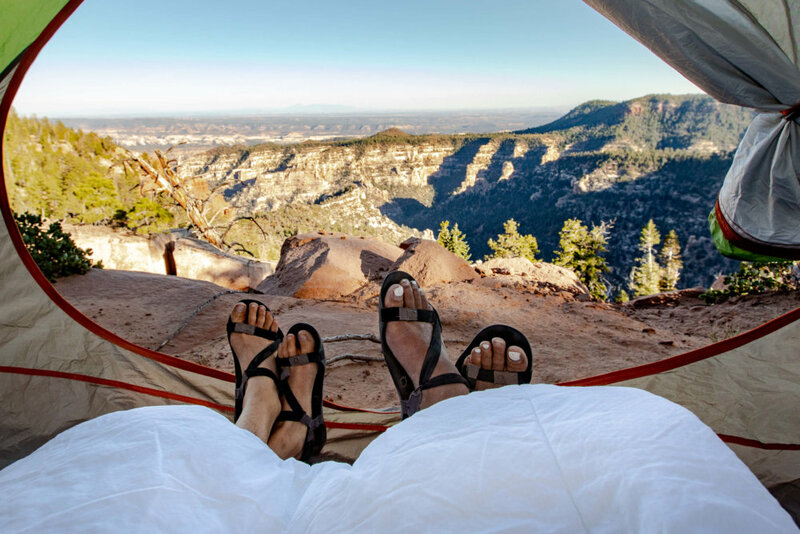 There is a trail and vista for nearly any aspiration—from a challenging, multi-day backpacking adventure to a short out-and-back hike in a slot canyon full of ancient cliff dwellings. You could run along the 8,000-ft plateau for days, with little elevation change but a new vista at every turn. Or drop down into one of several canyons, remembering to save energy for the 2,000-ft climb back to the top. You will find natural bridges and arches, and descend through millions of years of geological time. But it’s not for everyone: You will not have cell service and you will see few, if any, people. Primitive and undeveloped campsites are plentiful, and after a busy day exploring we found a new campsite each afternoon; each one more beautiful than the last. The relatively high elevation of the area—spanning from 5,000-feet to more than 8,500-feet above sea level—produces warm days and chilly nights. Dirt roads provide access into several areas of the monument, from which you can car camp and then set off on foot for a discovery-filled run or hike. A high-clearance vehicle certainly has advantages here, but don’t be discouraged: virtually any model of rental car or small SUV will give you the mobility you need. Keep an eye on the weather. Summer temperatures can be furnace-like in the lower elevations, while winter storms deliver thick blankets of snow to the higher elevations. In September, we observed daily temperature swings from 38°F. to 91 °F., depending on time of day and our elevation. Be mindful of thunderstorms with the lightning and flash floods they bring. This is nature in North America at its wildest. Originally proclaimed in December 2016 as a National Monument with 1.35 million acres, the area was substantially reduced by 85% less than 12 months later. Regardless of the designation, it’s public land and available for your exploration. But you might want to hurry: people will eventually stop calling it a battleground and suddenly realize it’s a frontier. Follow us for more adventures at @WildAcroDuo.